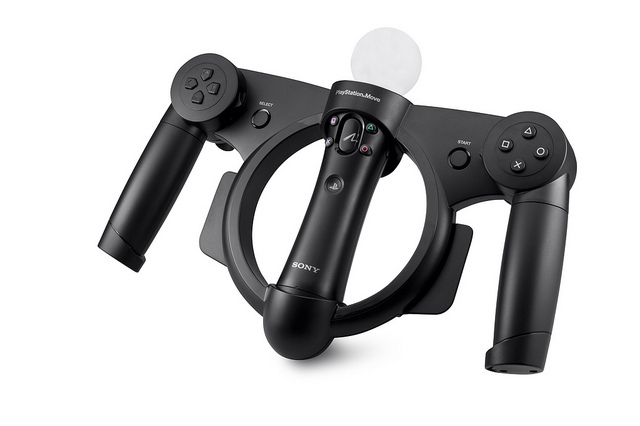 The PlayStation Move Racing Wheel will be coming out this fall, but some of you may want to know more about the peripheral before you decide to splash you cash on it. Luckily, the folks over at the PlayStation.Blog have put together a handy Video Tour of the device. Paired with the precise tracking of PS Move, the Racing Wheel is a completely functional unit that offers second-to-none mechanics to control all aspects of your favourite racing games. See how the wheel works in the video below. As we mentioned before, the PlayStation Move Racing Wheel will be available this fall for $39.99 and will support upcoming racing games like LittleBigPlanet Karting, in addition to PS3 racing favorites like Gran Turismo 5, Need for Speed: Hot Pursuit, Burnout Paradise, MotorStorm Apocalypse, and more.